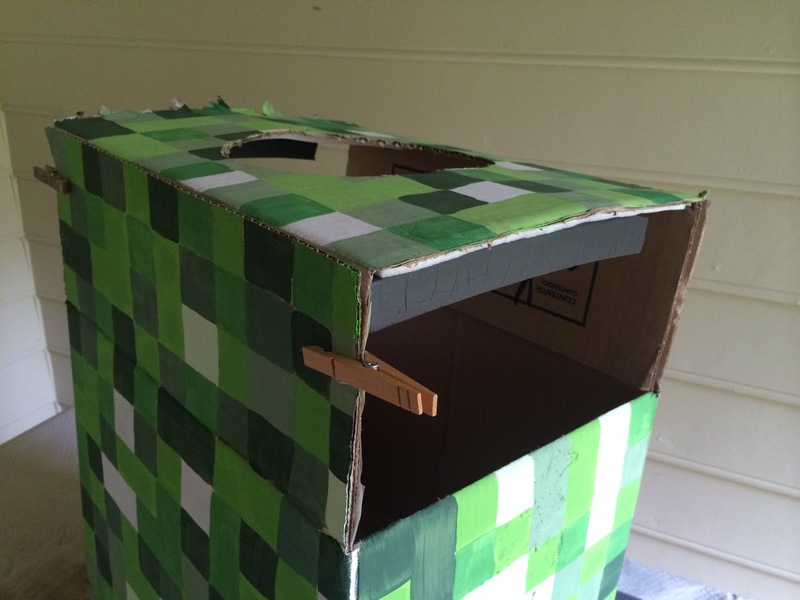 Isaac really wanted to be a Minecraft Creeper for Halloween. 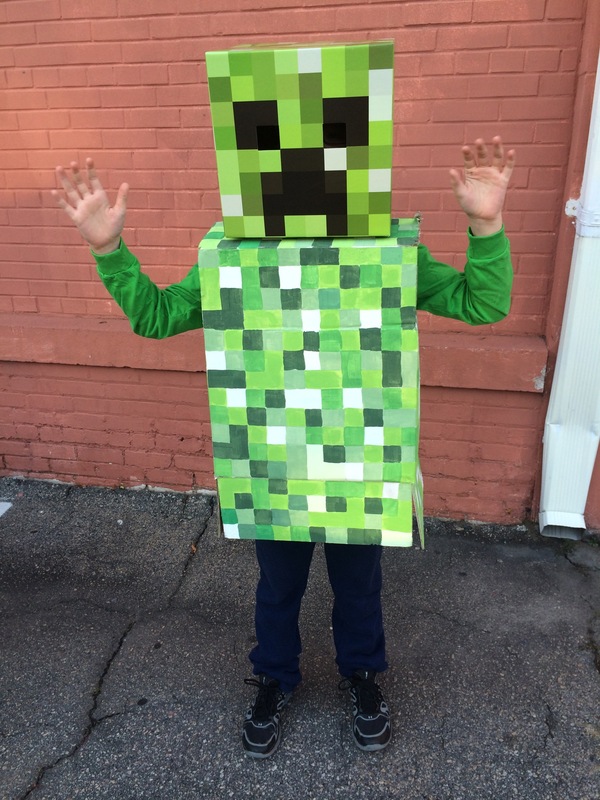 I bought a pretty cool cube-shaped mask online, but he really wanted to have a full costume including a Creeper body. I would have been happy to buy one but could not find such an item anywhere online or in stores (dangit). 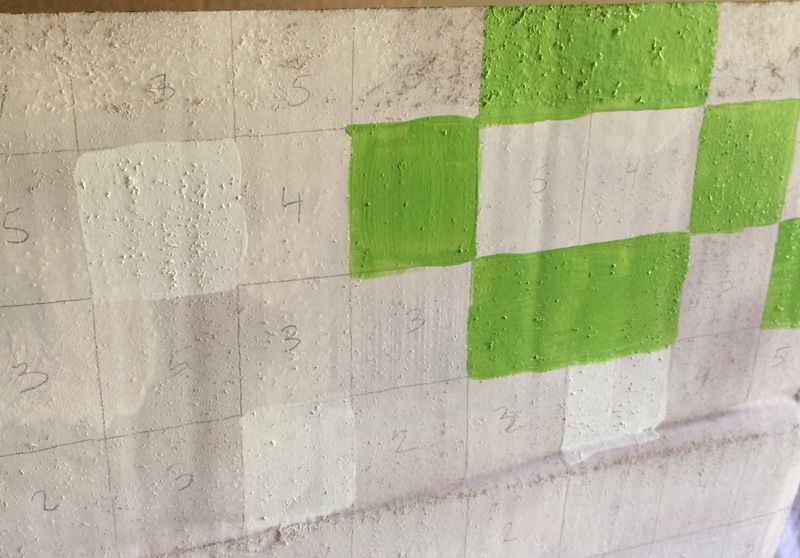 So I thought on it for a while and came up with a plan. We have a million moving boxes saved from our move over the summer, so after trying a few for size I settled on the Home Depot Small as our best bet. I turned the flaps up at the top and bottom in order to get the most length out of it. I also cut the side from another identical box, and kept the top and bottom flaps intact. 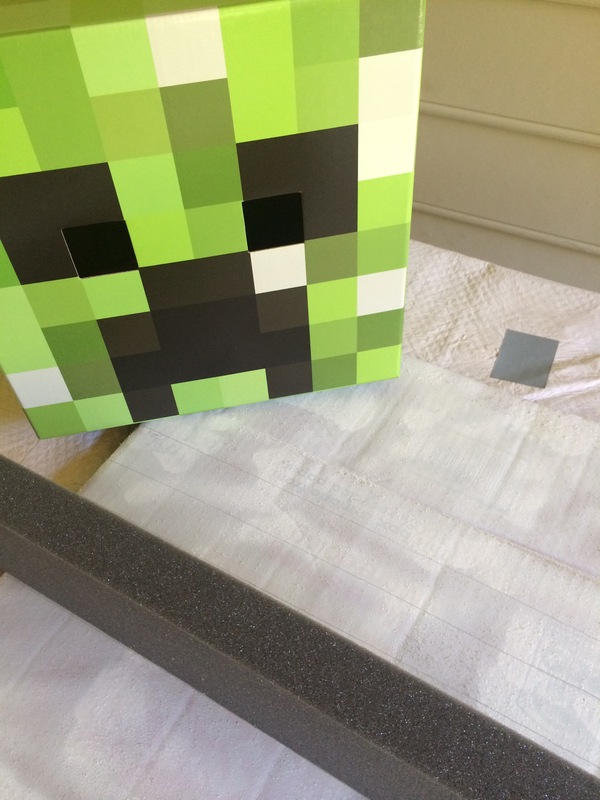 This became the top part of the Creeper’s torso. 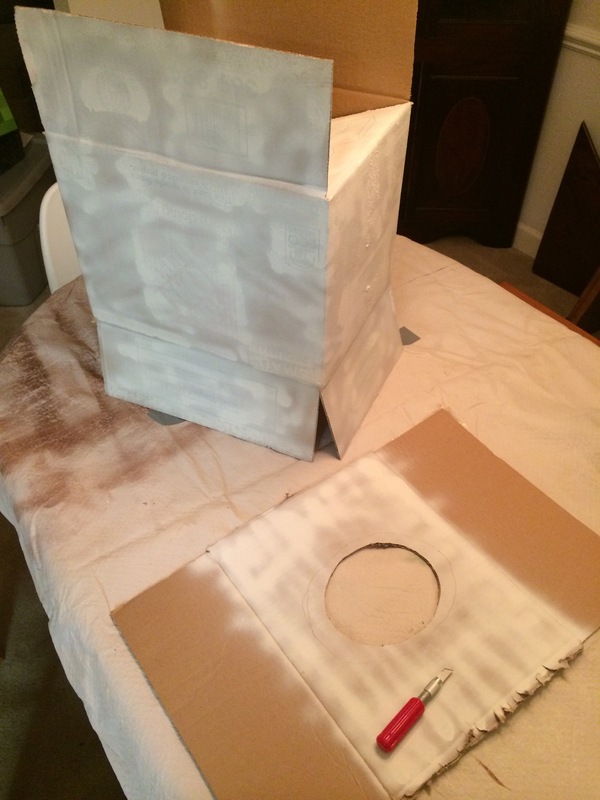 The boxes were plain brown cardboard with orange and green logos and writing, so I prepared them with flat white primer spray paint. 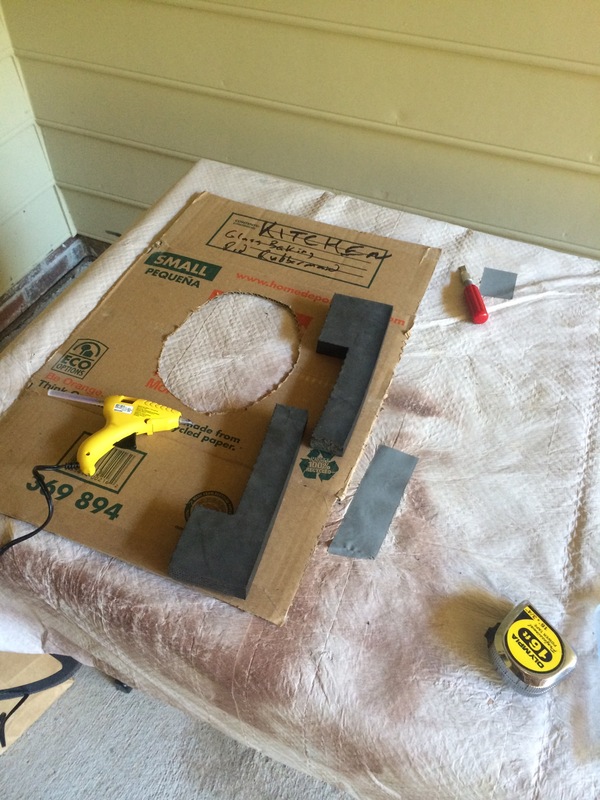 I cut a hole into the top piece for Isaac’s head to fit through. 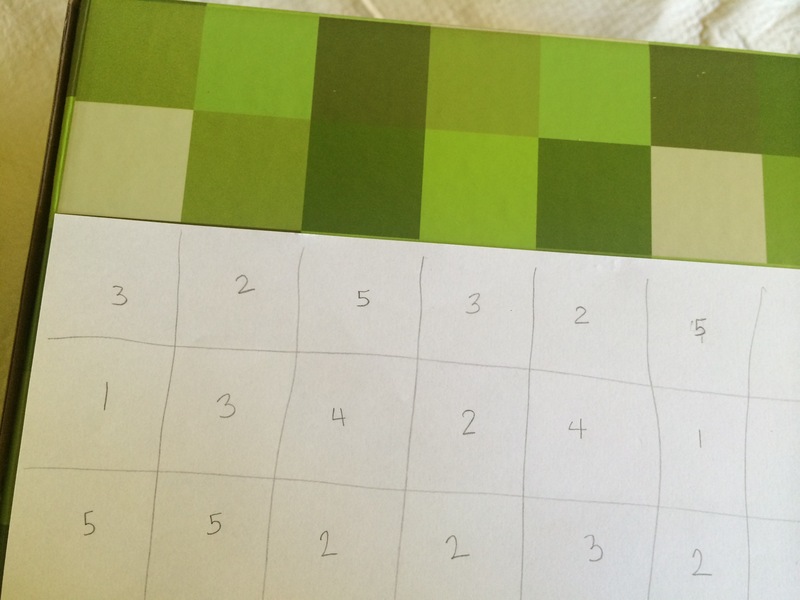 There are about five different colors in the squares. Maybe slightly more but I aimed to keep things simple. 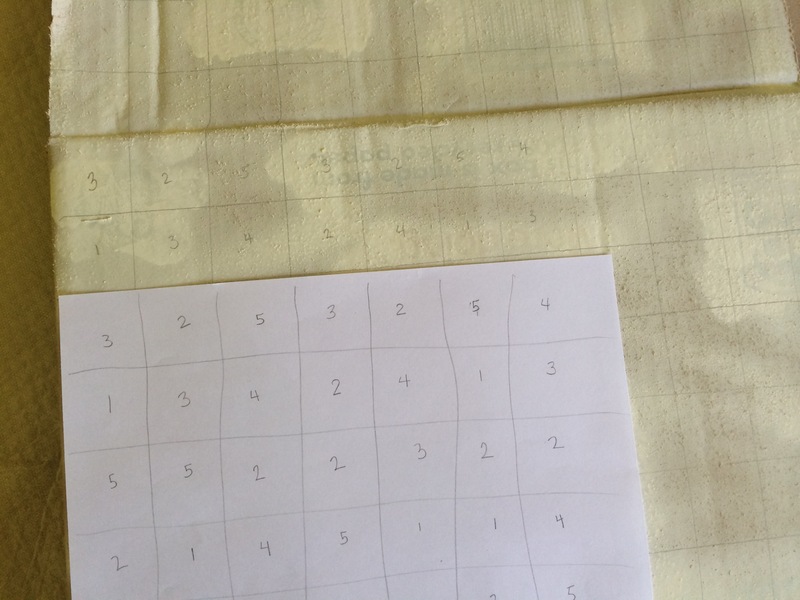 I drew a grid on a piece of paper and assigned numbers from lightest to darkest. All done just in time!